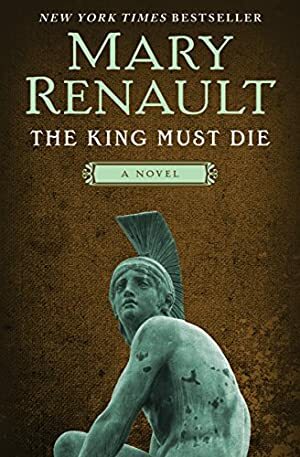 New York Times Bestseller: This retelling of the Greek myth of Theseus, king of Athens, is "one of the truly fine historical novels of modern times" (The New York Times). In myth, Theseus was the slayer of the child-devouring Minotaur in Crete. What the founder-hero might have been in real life is another question, brilliantly explored in The King Must Die. Drawing on modern scholarship and archaeological findings at Knossos, Mary Renault's Theseus is an utterly lifelike figure -- a king of immense charisma, whose boundless strivings flow from strength and weakness -- but also one steered by implacable prophecy. The story follows Theseus's adventures from Troizen to Eleusis, where the death in the book's title is to take place, and from Athens to Crete, where he learns to jump bulls and is named king of the victims. Richly imbued with the spirit of its time, this is a page-turner as well as a daring act of imagination. Renault's story of Theseus continues with the sequel The Bull from the Sea. Track It. This book has been $1.49 within the past year. We started tracking this book on June 14, 2013. The price of this book has changed 186 times in the past 2,139 days. This lowest price this book has been offered at in the past year is $1.49. The lowest price to date was $1.49 last reached on June 30, 2018. This book has been $1.49 7 times since we started tracking it. The highest price to date was $12.87 last reached on July 1, 2018. This book has been $12.87 2 times since we started tracking it.